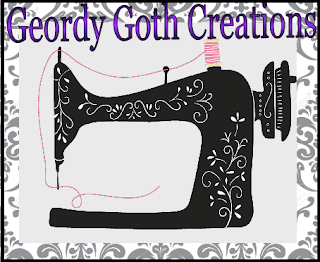 A couple of weeks ago, I posted about the first pair of leggings I had ever made First attempt at sewing leggings. I had a comment from the lovely Lexington the 1st to post pictures donning my leggings. 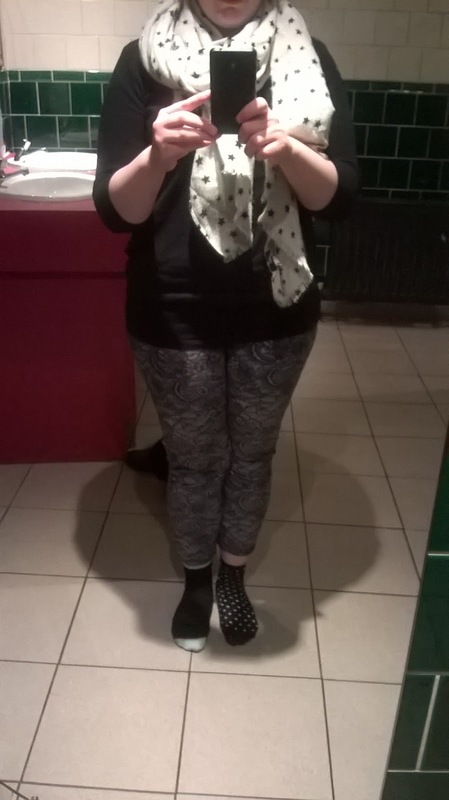 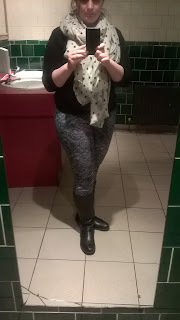 In response, I took some outfit photos when I wore my leggings. 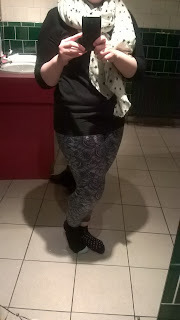 I am unable to take pictures at home as my new camera is still in the box, since losing my last one I feel anxious taking it outside, and I don't own a full-length mirror. 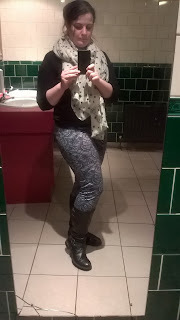 When I was out at my local pub, the Bodega, I snook off to the women's toilets to snap a few pics in front of the ladies full-length mirror. Thanks they fit well but are a bit short due sewing too much of the hem .